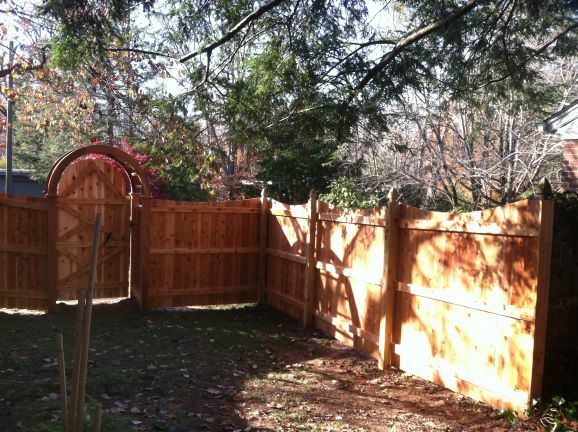 Matching up to an existing fence can sometimes be tricky. 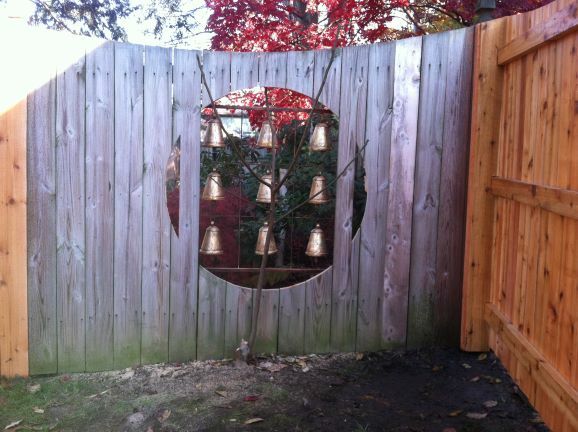 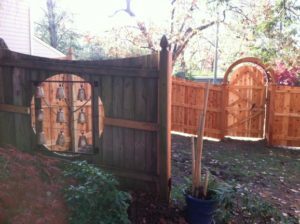 The home owner wished to keep their section of ‘Cedar Bells’ so the new 6’ high cedar concave privacy fence was constructed around it. 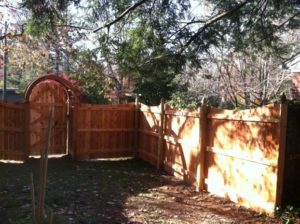 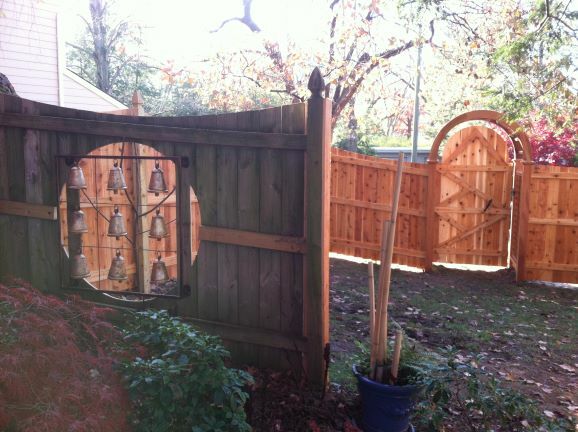 The fence uses 1”x6” cedar pickets and French Gothic pressure treated posts. 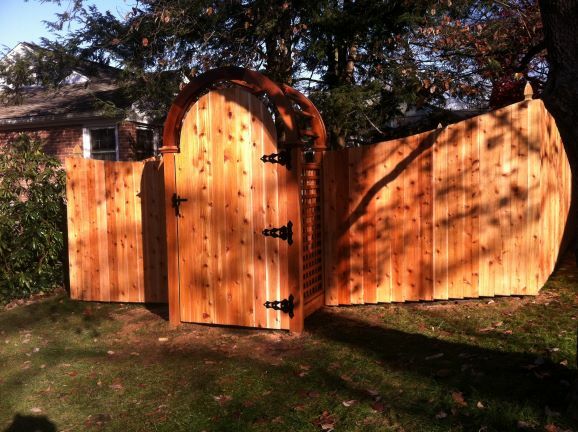 The custom rounded gate was built piece by piece on-site to fit into Nantucket Post Cap Company’s Brant Point Arbor (3’ wide). The entire project was built with stainless steel nails, and one coat of water sealant was added to enhance the colors in the wood’s grain.